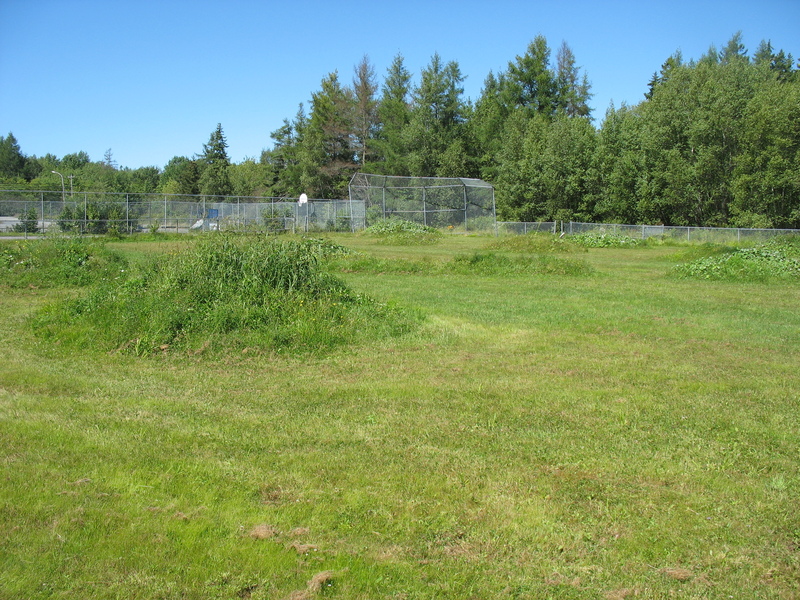 Yesterday, the city of Halifax informed us that Pending Site Insurance and a Site Walkthrough, the former BMX park in Beaver Bank, located at Beaver Bank Kinsac Sports Centre – Diamond #3, 1701 Beaver Bank Road, will be designated as the city of Halifax first ever Public Access RC Park. The insurance will be paid for by the Halifax RC Park Committee, this is the committee which was put in place to oversea maintenance and fund raising of the Halifax RC Park. The Halifax RC Park Committee is hoping to secure the insurance early next week and hopefully the walkthrough can be completed or at least scheduled for later the same week. Even though this isn’t a done deal, this is great news and the ball is now in our court. We will keep you posted and let you know when it is official. As you can imagine and see from the picture, building an RC Park is an enormous undertaking and it will require the assistance of the community in general. The Halifax RC Park Committee is looking for help and want to start putting together a work crew along with other things. If you or someone you know is able to donate money, supplies, equipment or able to provide some helping hands with some of the digging, shoveling etc, please get in touch with them at HalifaxRCpark@gmail.com and let them know how you can help. Although all offers of help can be put to use, if at all possible, please respond by May 9th because this will be a topic of discussion at the next meeting. * Please note Sackville RC is independent of the Halifax RC Park Committee. We do have 4 members on the 10 member HRCP committee.